Girl in Dancing Pose dashboard doll is sculpted by an artist and hand painted with detail. She wears a natural hula skirt with a beautiful Hawaiian lei around her neck. 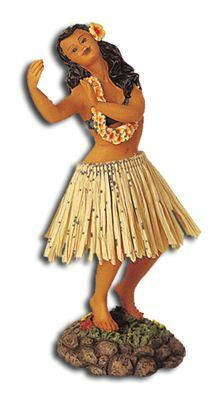 Place her on your car dashboard and watch her hula.